A new update to the classic Fisherman, the Aaron is a crowd pleaser. This two toned leather and canvas style will keep the little guys looking stylish all summer long. • Pediped new, slip-resistant diamond tread reduces potential slipping for beginning walkers while still allowing little feet to move, grip, and feel the floor. 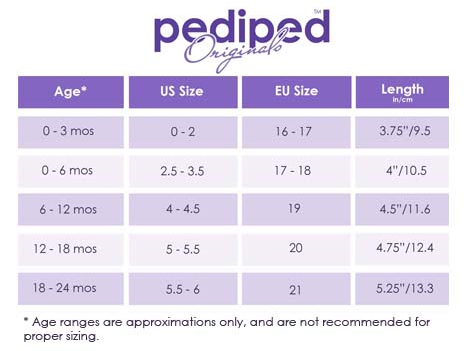 All pediped Originals® soles are crafted of premium grade, non-toxic leather for ultimate flexibility and lasting quality. • Indoor/Outdoor Use - pediped® footwear provide the benefits of a true soft-sole, yet are ideal for both indoor and outdoor use.